Lauren reading before the Nieuwe Kerk in Groningen, Easter afternoon. 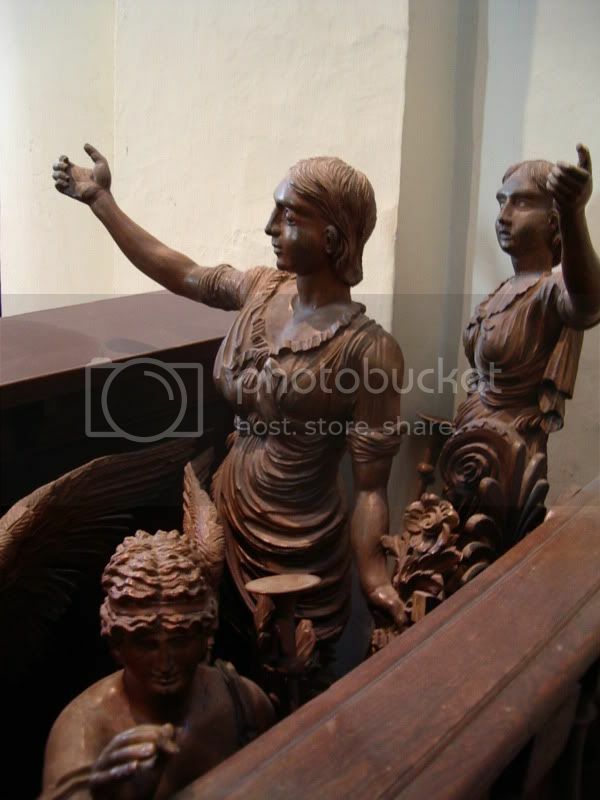 These statues were at a balcony in the church. I saw only heads of children and pointing fingers from below and expected to see a modern work of art. The organ in this church is being rebuild. These were angels that came off the organ. Wings were lying neatly folded in front of them, waiting for better times to come.